What is Simple Mail Transfer Protocol (SMTP) Relay? SMTP Relay will bypass your ISP’s email outbound restrictions. Scenario: You are running Exchange Server 2010, everything seems to be going well – and then one day all employees within company.com domain cannot send out any emails. You have checked the Event Viewer and can’t find any relevant critical errors in Event IDs pertaining to the issue. You have verified that SMTP Ports are opened up in your Security or Firewall Device, so what could it be? This has been a common issue if your company is hosting Exchange Server, there are times that for any reasons your ISP could be blocking SMTP Ports. The workaround is to find a reliable SMTP Relay Provider, make sure that the Provider has a redundancy backup just in case the primary SMTP Relay server goes down. Based on my actual experience dealing with this type of setup, it really works and they are very reasonable too. Rest assured that your email will go out 24/7. You may also try Port 26, 940, 8001, 2525, 80 by using the same telnet command instead of Port 25. If the connection gets responses from the alternative SMTP port, you should use that port instead of Port 25 when setting up Smart Hosting. 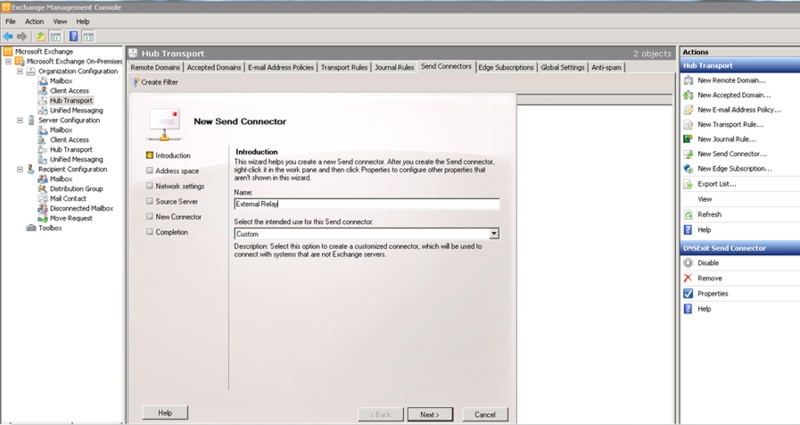 How to configure the SMTP Relay? You may follow the guide from your SMTP Relay Provider’s website to complete the process of setting up SMTP Relay.